Acne and Rosacea are conditions that are hard to control. There are several treatments and products available, but how do you know which to use? It may be a cycle of trial and error but looking for specific lesions and asking the right questions will get you a head start in treating clients safely and effectively. Also learn the science behind LED and how it helps these conditions. Live hands on with instructor approval. 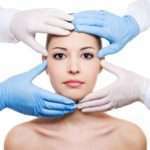 True U does not promote estheticians working past their scope of practice but to learn the theory on procedures to manage skin safely and effectively. Cancellation fees apply. Call and speak to an Enrollment Coordinator for more information.